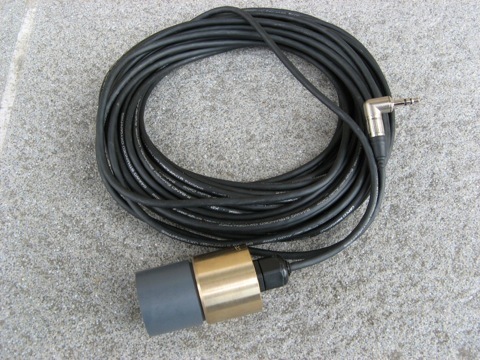 General purpose hydrophone ideal for whale watching, full audio-band signal detection (ranging up to more than 30kHz), and mobile underwater recording. 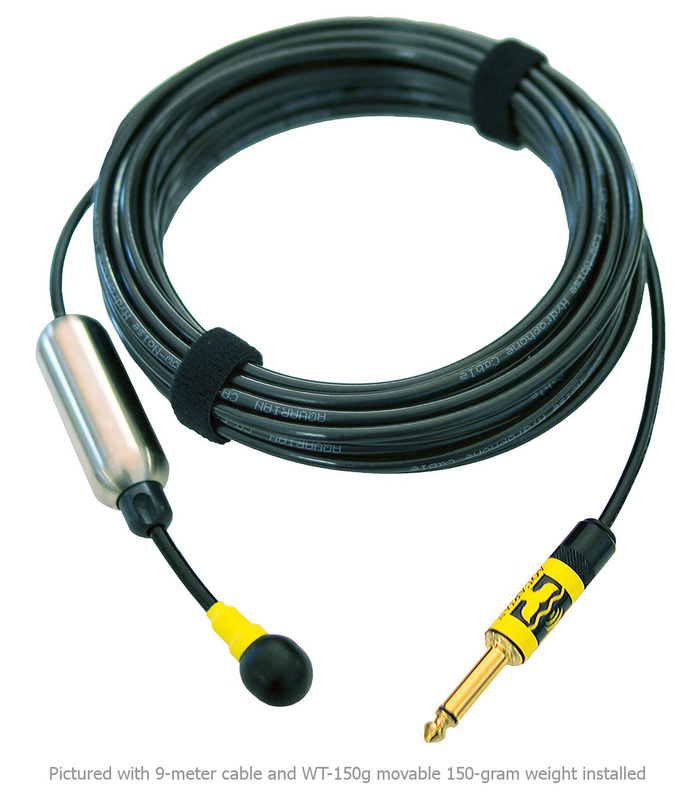 This hydrophone has a slick & compact design. 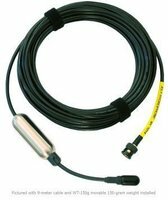 It is manufactured by Sensor Technology in Canada.The SQ26-08 must be used with a recording device or preamplifier that has a bias powered (plug-in-power) microphone input. A custom adapter allows to directly power the internal preamp, to be used with systems not providing the bias power. 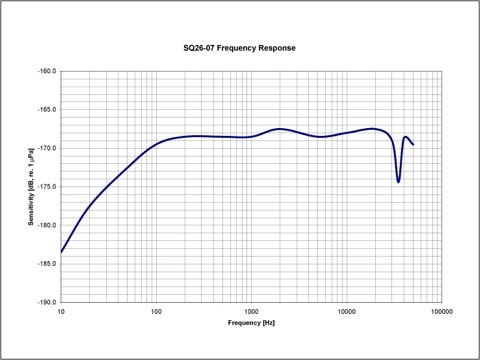 The SQ26-08 must be used with a recording device or preamplifier that has a bias powered (plug-in-power) microphone input, with voltages under 5V. Applications: scientific research, recreation, tourism, environmental science, cetacean research, contact microphone, geophone, adding underwater sound to video recordings. Directionality: omnidirectional below 10kHzBattery / Connector box: N/A - powered by most of the plug-in powered microphone inputs, such as the Zoom H1. Voltages must be below 5VDC. Battery / Connector box: N/A - powered by most of the plug-in powered microphone inputs, such as the Zoom H1. Voltages must be below 5VDC.